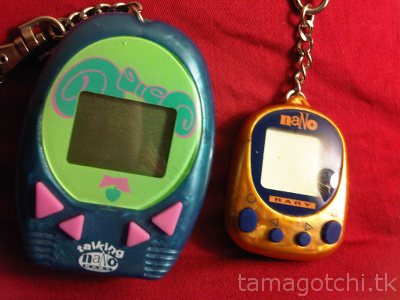 The Talking Nano was released near the end of the virtual pets craze in the late 90's. 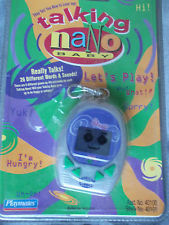 It came out after the regular Nanos came out and it includes some unique features. 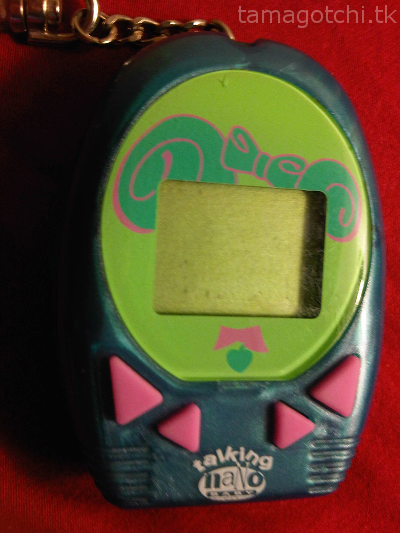 Admittedly, I haven't really played this one because my sister just gave it to me, but from what I remember of my cousin playing with one, the pet is basically just a face that shows different expressions and literally talks to you to tell you what she needs. 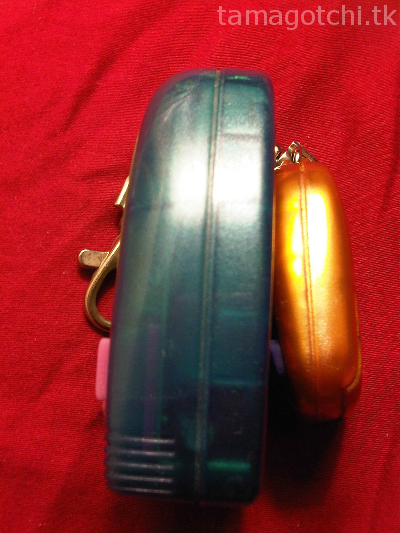 The shell is far bigger than the average vintage virtual pet and made of a very sturdy pearlescent material, kind of like a Tamagotchi Angel. 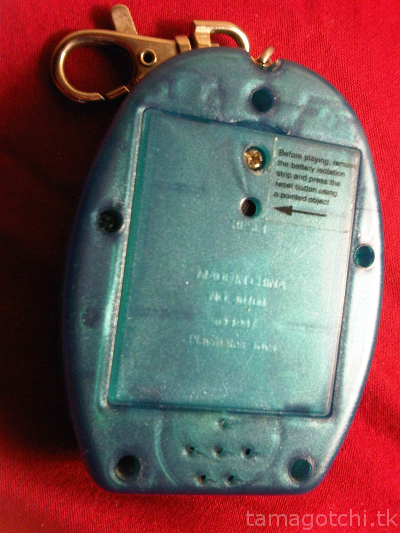 It has a flush screen and large pixels, with no icons. I believe it takes AAA batteries. It is very vocal and seemed a bit annoying, but it's also a very unique pet. Apparently it is not very commonly available online. I will update with a more comprehensive review once I get around to playing with it. I think it came in three characters: kitty, puppy and baby. These aren't too common, so from what I've seen on ebay they can run between $50-150. If you can find one for under $50 then you should definitely snag it up! I'm not sure if these even grow.